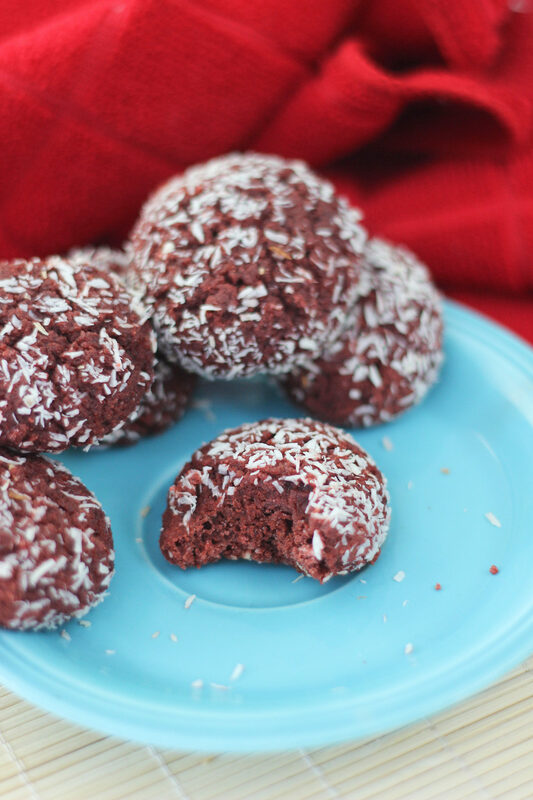 Keto Red Velvet cookies are as rich and decadent as the title suggests. With no processed sugars the keto cookies are so good and only clock in at .6 carbs per cookie! 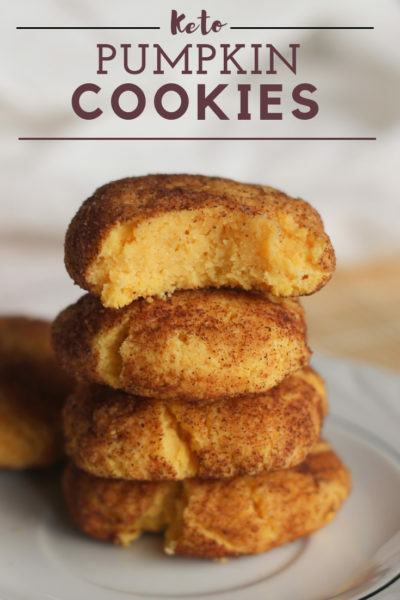 In under 30 minutes you and your family could be snacking on some delicious low carb keto cookies. Baking with non conventional flours can be tricky. 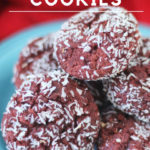 This recipe for Keto cookies uses coconut flour and coconut flour can often be a recipe for dry baked goods however these Red Velvet cookies are fudgy and delicious. 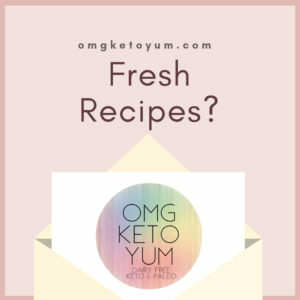 The key to making fudgy and moist keto cookies using coconut flour I have found is to add unflavored gelatin too the cookie dough. 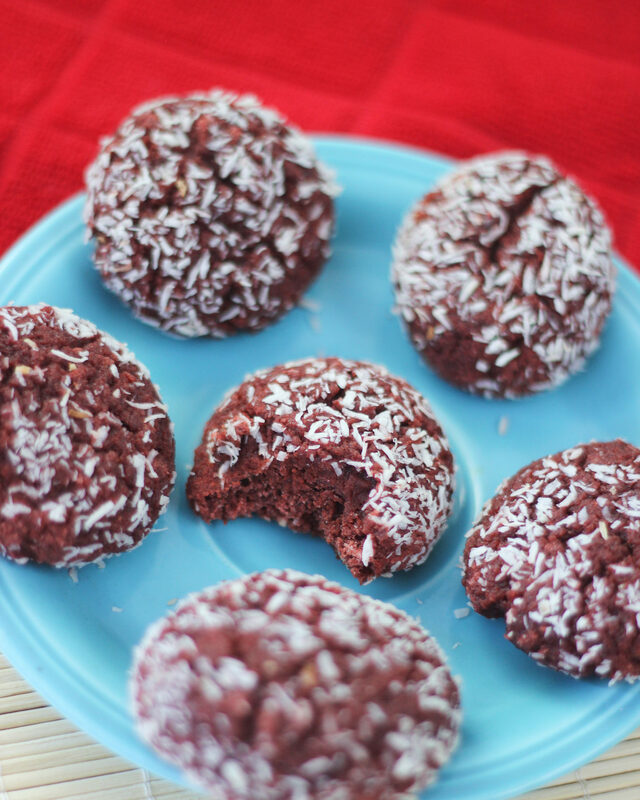 Try a few of my favorite cookie recipes this holiday season. 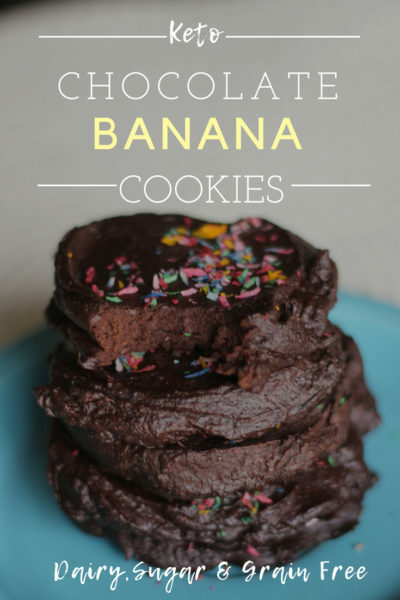 All of these recipes are sugar free, grain free and dairy free. Keto never tasted so good! First, preheat the oven to 350 degrees and lay a silpat over a cookie sheet. Next, measure the coconut oil, stevia and sweetener into a mixing bowl and cream using the hand mixer until combined. Add the eggs and AVC and mix until it is combined. Add the food coloring and maple extract and combine. Next, add the coconut flour, baking powder, gelatin and cocoa powder to the bowl and mix until combined. This will get thick pretty quickly so for this reason you might want to switch to using a wooden spoon. The dough should be the consistency of play-doh. To thicken add a pinch of coconut flour. Next, roll the dough in between the palms of your hands forming balls roughly 2 -2.5 inches in diameter. Place the shredded coconut inside a measuring cup. Roll the cookie dough balls in shredded coconut and press slightly with the back of a measuring cup on to the silpat. 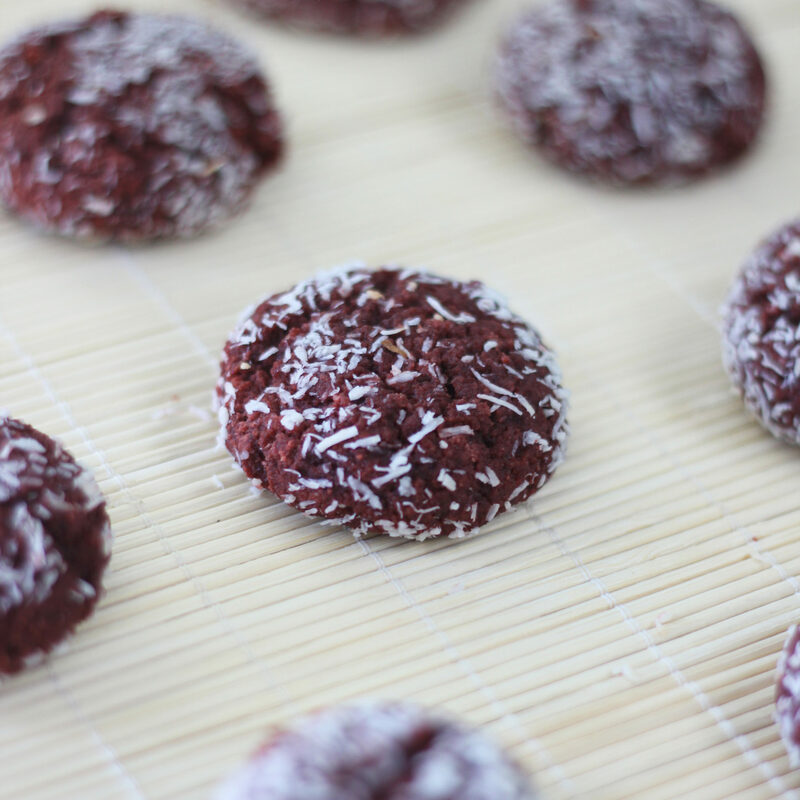 Finally bake the keto red velvet cookies in the oven for 10 minutes. Take the keto cookies out of the oven and using a silicone spatula transfer the cookies to a cooling rack. Let the cookies cool for about 10 minutes. 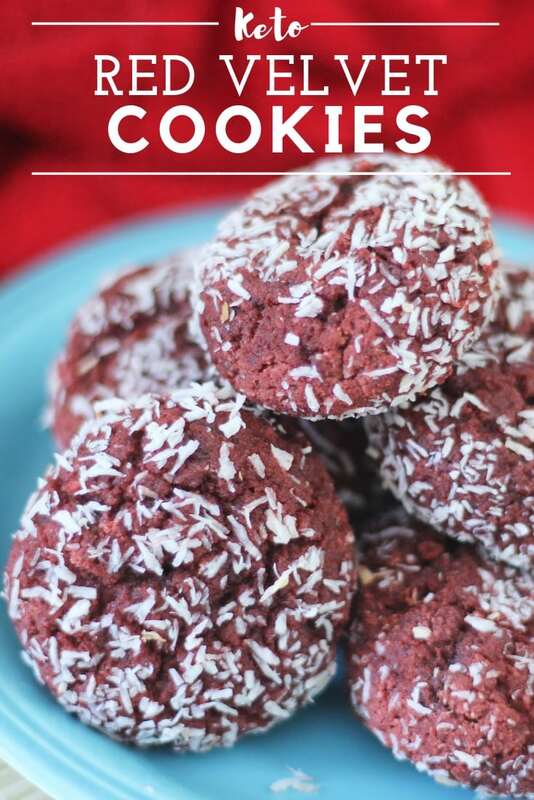 Store the Keto Red Velvet cookies in an airtight container. These cookies are amazing once they have cooled and even better after they have chilled in your refrigerator. 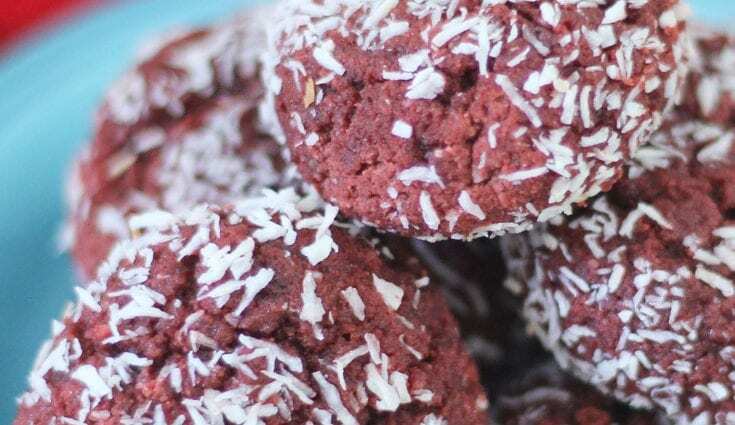 Delicious and Fudgy – Dairy, grain and sugar free keto Red Velvet Cookies! Next, measure the coconut oil, stevia and sweetener into a mixing bowl and cream using the hand mixer until combined. Add the eggs and AVC and mix until it is combined. Add the maple extract and red food coloring. Please comment below if you tried this recipe and let me know what you think. I would love to hear from you. Feel free to share this recipe with your friends and family on social media. You need to fix this recipe. It neglects to mention when to add the food coloring and maple extract. I’ll fix that right now thank you!! Add the extract and food coloring right before you add the dry ingredients. Can I substitute Ghee for the Coconut Oil? I have never tried baking with Ghee – give it a try and let me know how it turns out. I betcha it will work! GREAT RECIPE!, COULD I USE CHIA SEED OR GELATIN EGG SUBSTITUTE.